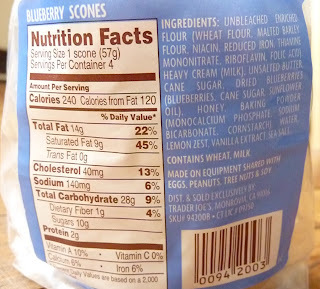 Apparently scones are not pastries, since they are not made with yeast. I've always been aware that they were British, and that they originally went with "afternoon tea" or perhaps "luncheon" or "elevensies" if you're a hobbit. But I was not aware that Scots and Brits often pronounce the word as "skon." Although the common American version with the long "o" sound is also acceptable, according to British dictionaries. Phew! I'm glad I won't have to change the way I pronounce it. 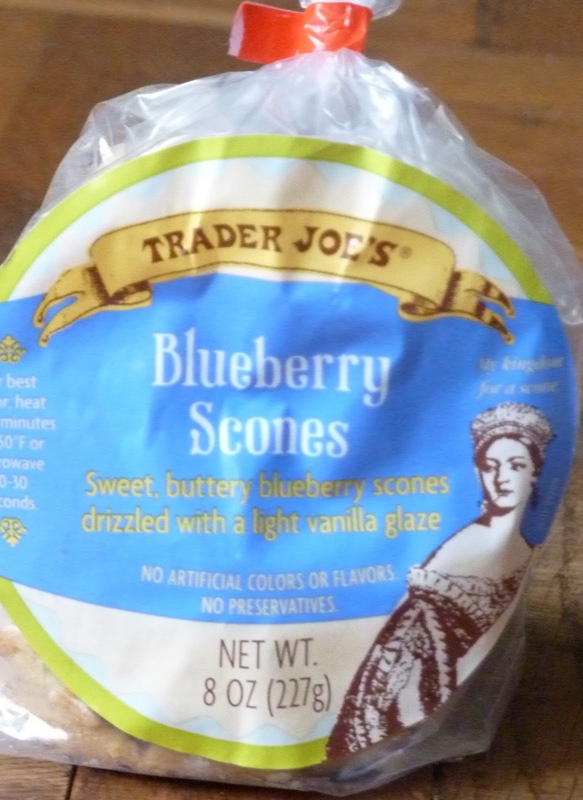 And these Trader Joe's scones are pretty darn American if you ask me. They're glazed, they've got blueberries, and they're satisfyingly sweet. Maybe even a little bit too sweet to be a scone. They're dense. And they're filling, too. In a good way. They go great with coffee, but I would think their taste is a little too strong to go well with most teas. I could be wrong because I don't drink tea all that often. But we'll go ahead and call these a success. 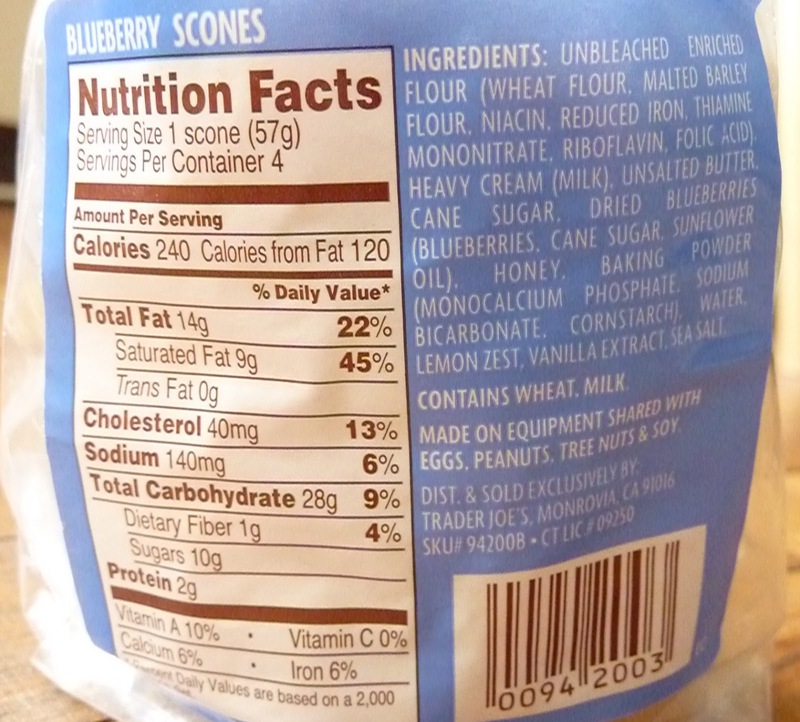 Now, for your next assignment, Trader Joe, I'd like you to devise a gluten-free scone. Go! And while you're working on that, we'll go ahead and give this product 4 stars from me and 4 stars from Sonia. Could it be you are unfamiliar with Monty Python and The Lumberjack Song? "On Wednesdays I go shopping and have buttered scones for tea." This was the first time I'd heard it pronounced as they do. But I'm American, so I pronounce it like we do.